Caring for someone with Alzheimer’s is a unique challenge that unfortunately, many family members will face as their parents and loved ones age. Alzheimer’s is a type of Dementia that affects how a person thinks and acts, and therefore can completely change the lives of an aging loved one and all those around them. A diagnosis of Dementia or Alzheimers is life changing for both the individual with the disease and their family and loved ones. Providing care for someone living with this disease is not a simple task and can place a great deal of stress on the caregiver. Here are some essential tips to help you and your aging loved one as you navigate the challenges and triumphs of a life with Alzheimer’s disease. Educate yourself about the disease. Read books, attend workshops and consult with health care professionals. Learn caregiving techniques. Key areas are communication skills, safety concerns and managing behavioral challenges and activities of daily living. Avoid caregiver burnout. Make time for yourself. Join caregiver support groups. Pursue interests beyond your caregiving role, such as exercise, hobbies and art. Maintain your own physical and mental health. Exercise, respite and other activities can reduce stress. Seek medical help if you begin to feel depressed or anxious. 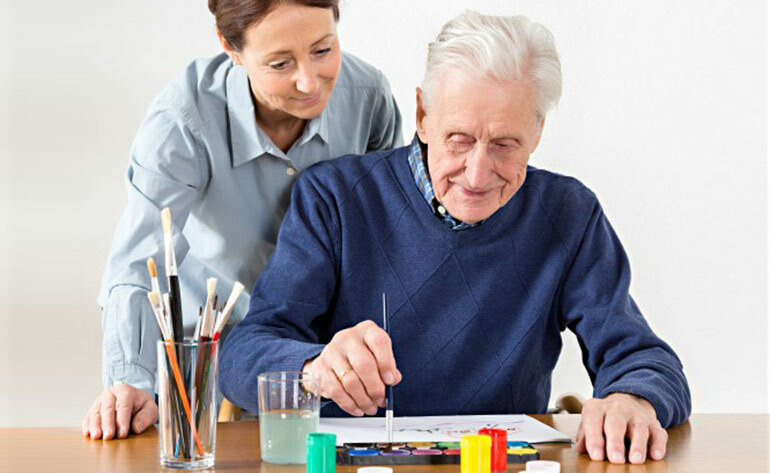 Do cognitive stimulation activities with your loved one. Listening to music, completing word puzzles and playing memory games can easily be done at home. Take care of financials, legal and long-term care planning issues. Try to involve your loved one in decision-making if they are still capable of providing input, and consider their wishes related to future care and end-of-life issues.